Ikh Nartiin Chuluu argali ram, April 2005: This big old ram let me follow him around for about half an hour. I’m starting the New Year with a new series on Mongolian wildlife. These will be short profiles with essential information and interesting links. 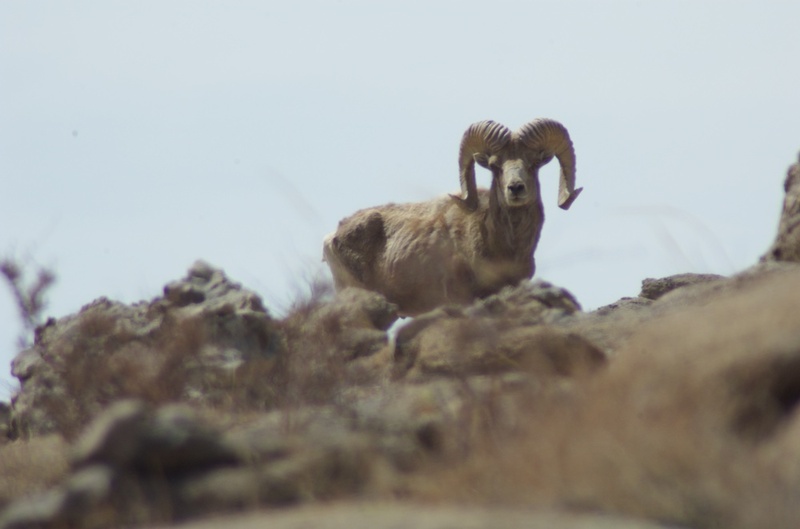 First up is the animal which brought me to Mongolia in the first place, the argali, now one of my favorite subjects. 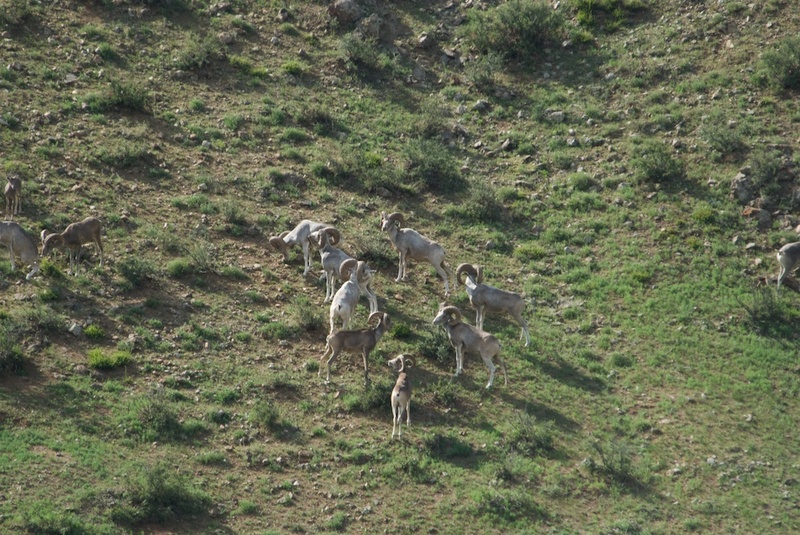 Weight, height and horn length: Argali are the world’s largest mountain sheep. A large ram can weigh as much as 375 lbs (65-170km). They stand from 3-4″ (90-120cm) at the shoulder. The horns can measure up to 65″ (165cm). Argali rams, Gun-Galuut Nature Reserve, July 2009; I peeked over the ridge (after dragging my oxygen-starved body up a steep slope following my guide) and what should I see...a big group of argali rams, twelve in all. 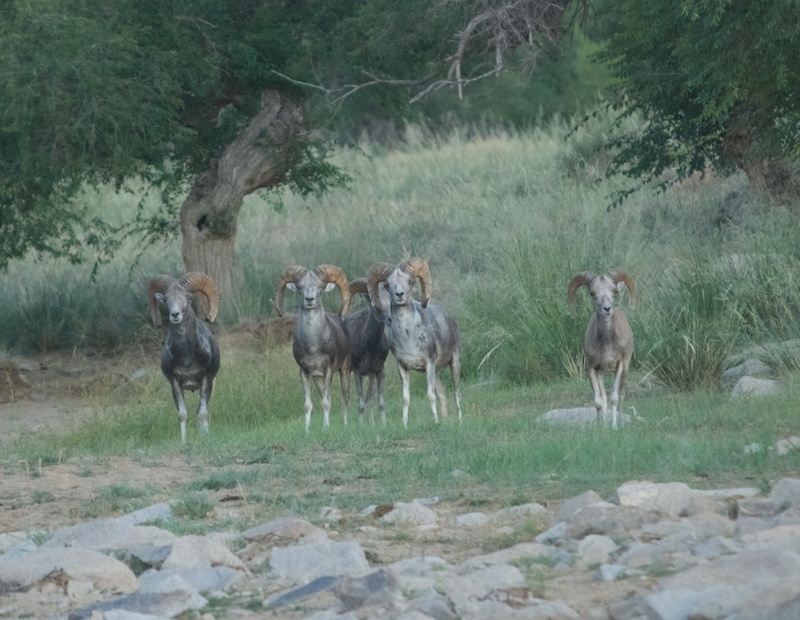 Argali rams, Ikh Nartiin Chuluu, August 2010; In all my six trips to Mongolia, going out to see argali every time, this sighting was the jackpot....five rams less than 50 yards away and I had them to myself for at least an hour. 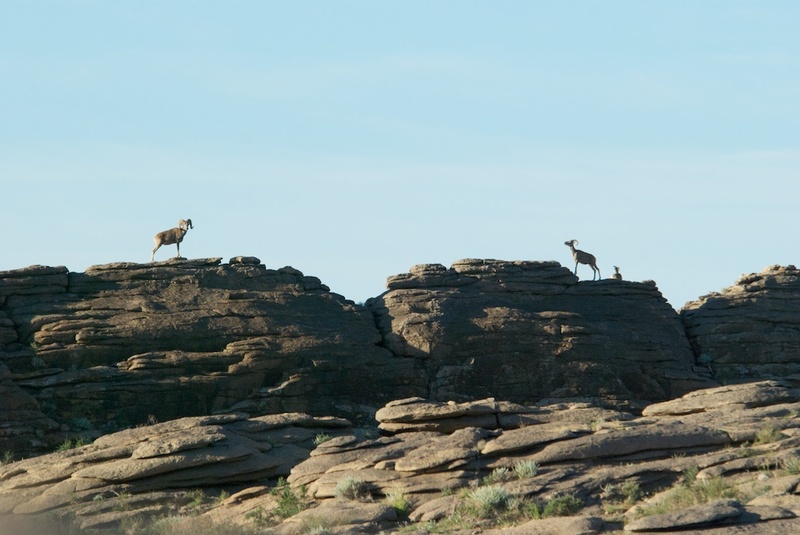 Argali ram, ewe and lamb, Ikh Nartiin Chuluu, July 2011; Typical sighting of argali up on the rocks. -There are no argali in captivity, neither zoos or reserves. The only place to see them is in their native habitats. 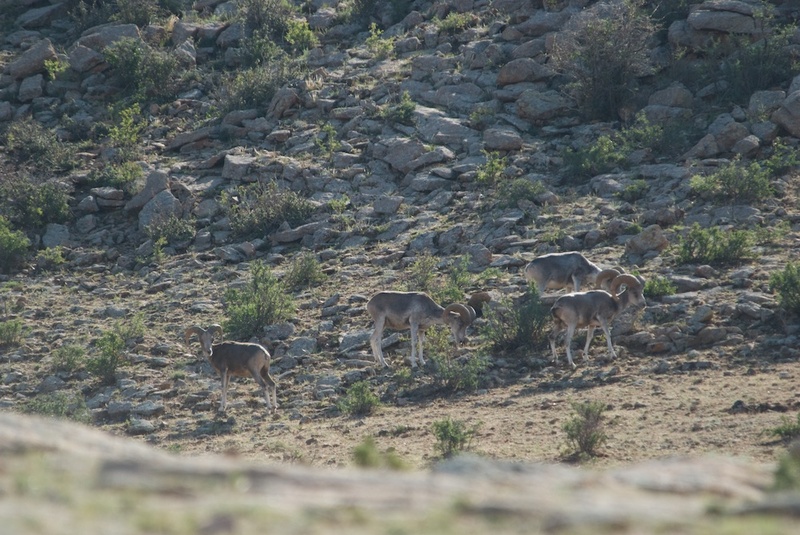 – While the rams do fight it out during the annual rut for mating privileges, otherwise argali don’t have set herds or harems. Who is with who can change through the day. Rams mingle freely with ewes and lambs, form bachelor groups or wander around on their own. – In July of 2009, I was in the right place and the right time to be the first person to ever photograph an argali swimming a river…the Kherlen Gol, which flows through Gun-Galuut Nature Reserve. It was known that they do it, but since almost all the research on them is done at Ikh Nartiin Chuluu, where there are no rivers, no one had ever actually seen, much less photographed, it.